In his keynote address, John Haule will show that C.G. 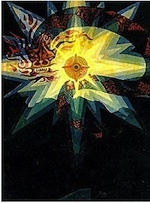 Jung’s analytical vision of a century ago is remarkably supported by the 21st century sciences of evolution: Jung has something to offer science, and Jungian thought has much to gain by following up the implications of recent scientific discoveries. Deirdre Bair will speak about the need to capture and preserve our analytic history and how we should undertake to assess the contributions of the important figures in its development. Royce Froehlich will show that, in order to develop an integrated personality, we are well served by taking psyche seriously and attending to it religiously. Laurie Schapira will explore Jung's legacy in contemporary culture. David Rottman will begin the conference with opening remarks. C.G. Jung Foundation for Analytical Psychology, Inc.